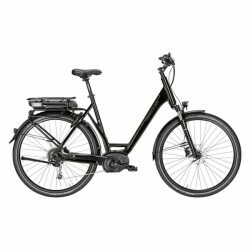 The price-performance tip: especially for e-bike beginners, the Hercules e-bike Robert F7 (Wave, 28 inches) . 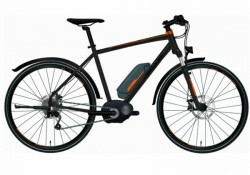 Being designed for cruising in the city, the Hercules e-bike Robert F7 (Wave, 28 inches) is equipped with brand components of Shimano (i. e., Nexus 7 gear shift), Magura (i. e., hydraulic rim brakes HS11) as well as Schwalbe (breakdown protection tyres). Sufficient pedalling support is provided by the Bosch mid-engine of the Active Line including a 400 Wh battery. Hercules is one the most well-known and most popular brand for bikes and e-bikes on the German market. The development of e-bikes orientates on needs and requirements of modern and mobile people. Hercules combines its experiences of 125 years with pioneering technologies and designs: Despite its 125 years, Hercules is as modern and dynamic as the people, cycling on Hercules e-bikes. Hercules e-bikes meet all requirements and uses. Hercules offers for almost any category of traditional bikes the respective pedelec. 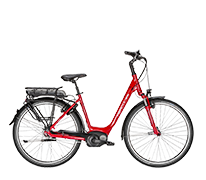 Hercules electro bikes are suitable for comfortable cycling in the city, when you want to go to work or shopping, i.e., you are also e-mobile with the trekking models overland or while travelling or you choose a sporty model for a better fitness. Hercules e-bikes offer different drive technologies so you can find the bike which is best for you. 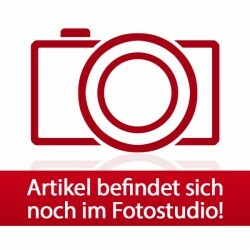 The premium model comes from the German traditional company BOSCH. E-bikes with this technology offer the most precise performance diagnostics and the best tuning for highest cycling pleasure. The TRANZX system provides your mobility in the mid-range segment. These models offer complete information and an easy operation. The PROTANIUM system is intended for beginners. It's just that simple: get on and take off. These e-bikes are compact and easy-to-use.